On January 25, 1959, within three months of his election to the pontificate, Pope John XXIII announced his intention to call an Ecumenical Council to bring about the renewal and reform of all aspects of Church life. The announcement to convene the Second Vatican Council shocked the Roman Catholic world to its core. Vatican II forced Catholics to think differently about their Church, themselves, and how they live their faith. It is now fifty years since Vatican II began, and its teachings are still being interpreted. In the words of John Paul II, “For a long time to come it will be granted to new generations to draw on the riches this Council of the twentieth century has blessed us with”. 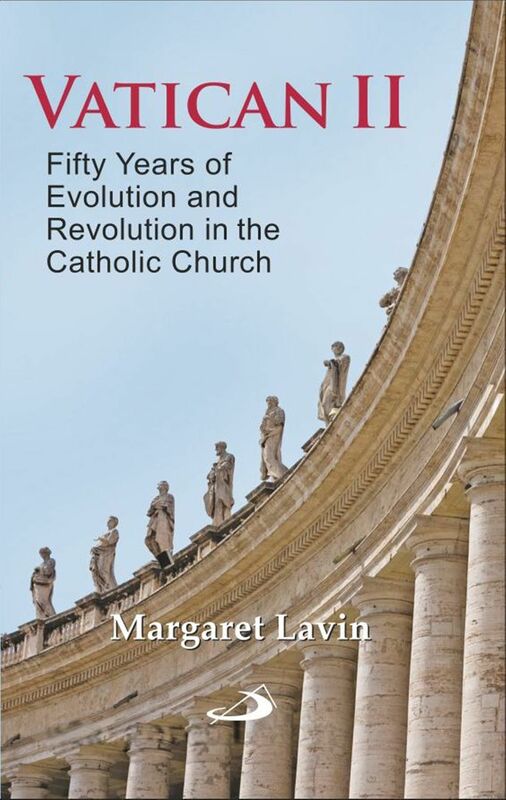 This book presents some of the major themes that resulted in the renewal and reforms of the Roman Catholic Church as a consequence of Vatican II. In presenting these major themes, the book journeys through the Council debates that led to the acceptance of the documents, the content of particular documents, and their implications for the Church today. EDITED By Norman J. Muckerman, C.Ss.R. This book is about one of the most serious and least discussed subjects of concern to today’s Christian: death. Perhaps you personally are not inclined to think about it, much less discuss it. Nevertheless, death is presently a “hot item”, as the marketing world would say. Added to that, greeting-card purveyors now stock cards for the terminally ill, for their families, and even for their caregivers. Elizabeth Kubler – Ross, whose 1969 book “On Death and Dying” provoked much of the prevailing interest in the subject, she mentioned that the key to a good death, is preparation. More than two-hundred years ago, in 1758, the great priest-preacher, Saint Alphonsus Mary Liguori, proclaimed the same truth in a Preparation for Death book he wrote called simply: “Preparation for Death”. In his foreword he stated that he wanted to help people prepare more carefully for that final and fateful moment when they would meet their Maker. 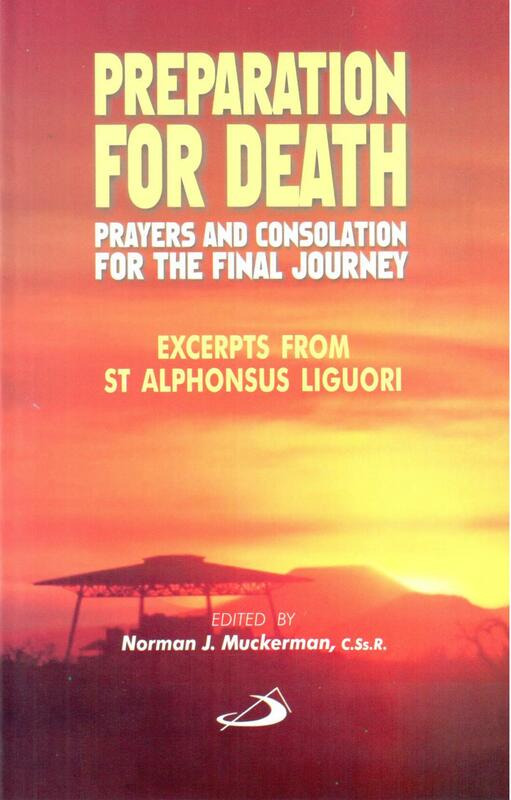 Not all of Alphonsus’ Preparation for Death will be found in this present volume. Some of the Chapters –“Considerations” he called them – have been omitted. They were written for other generations and other peoples, and might seem overly dramatic for modern Christians. According to the Author “What is included, however, are the basic truths about death, truths which are supported by God’s own guarantees, by the words of Jesus, and by the wisdom of many saints including Alphonsus himself – all of which , I hope will give us all the courage and confidence to go home to God gracefully”. Jubilee Year of Mercy begins on 8 December 2015 and ends on 20 November 2016. Pope Francis said “I am convinced that the whole Church will be able to find in this jubilee, the joy of rediscovering and making fruitful the mercy of God with which we are all called to give consolation to every man and every woman of our time.” This Mercy Divine and Human book is written precisely as a little contribution towards that end. 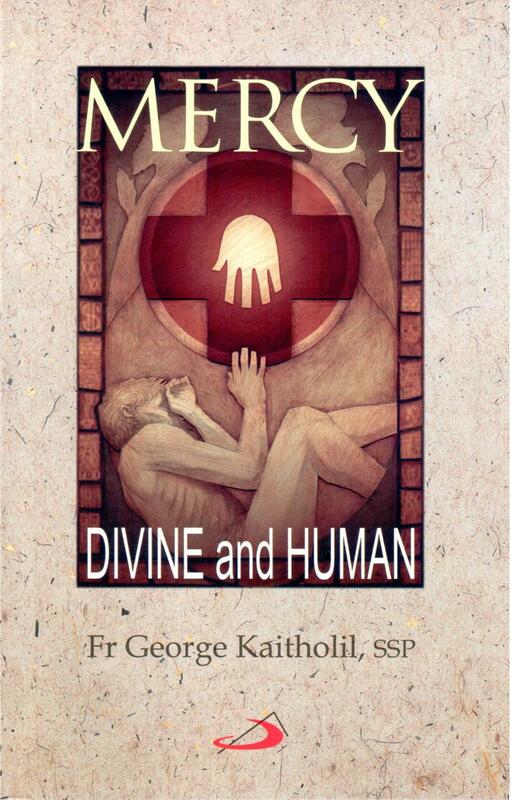 Mercy is the virtue that leads a person to make a genuine effort to relive misfortune of others, whatever is its form. God’s tender loving mercy is His response to human misery. God saves and redeems us not because of our merit, but because He is merciful. The primary focus of the Divine Mercy devotion is the merciful love of God and the desire to let that love and mercy flow through one’s own heart towards those in need of it. by Fr. George Stephen S.J. 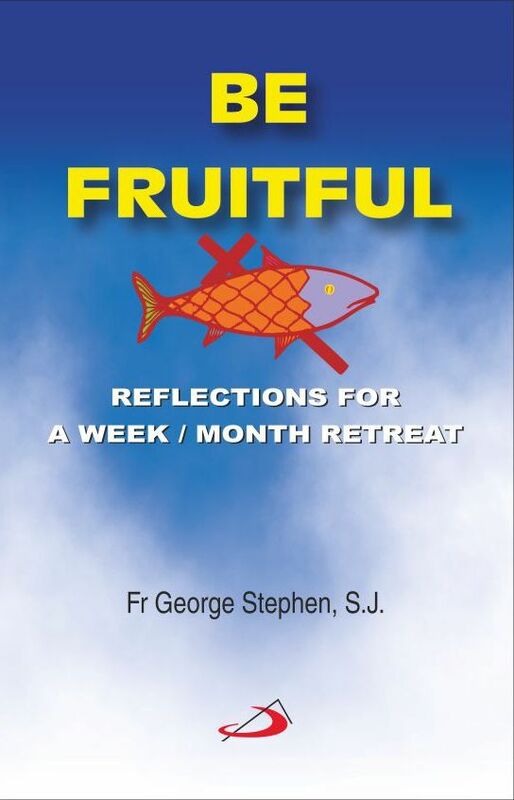 This Be Fruitful book is a collection of Fr. George Stephen retreat Conferences, assiduously brought out, out of years of expertise in directing retreats according to + M. Jogi, Archbishop of Hyderabad. Fr. George Stephen was trained to be a Professor of Mathematics, and for several years, he taught Mathematics in Jesuit Colleges. For the last several years, Fr. George had been fully occupied with giving retreats to priests, seminarians and religious men and women. What draws more and more retreatants to him is the simplicity and practicality of his approach. It is necessary, however, to set them in proper context. There is his call to mission and how he would have seen himself, and how others would have regarded him. There are his concerns, his priorities. And there is the reaction of others to his person and to his vision. As Son of God, Jesus had come to reveal the Father. They crucified him. God vindicated his Son by raising him from death. As mentioned above, this book Jesus Our Brother is not an essay in Christology. 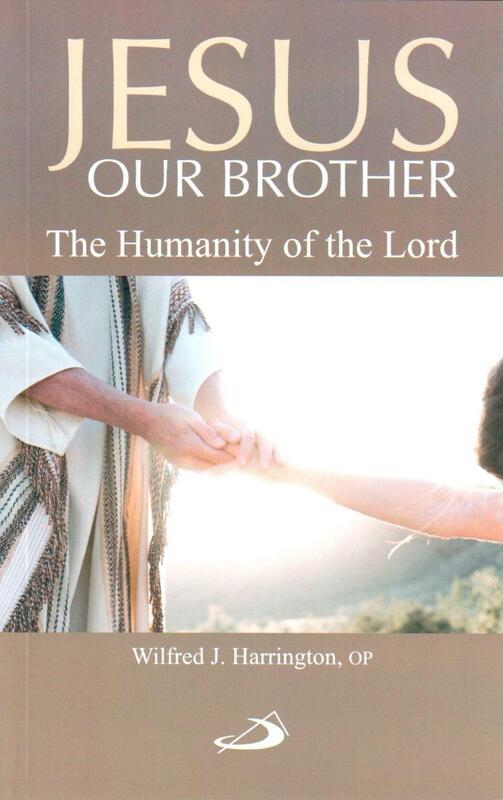 Its purpose is modest and specific: “I simply seek to illustrate the authentic humanity of Jesus of Nazareth by highlighting his characteristically human traits” says Wilfred J. Harrington the Author.